Finally, Google Inc. has launched his most awaited Google Allo Apk in the market to compete existing Apps like Whatsapp and Messenger. Google allo is not just a messenger app but it could be the future of Google search. Now you need not to type in search engines to get your queries answered, you can simply do this via typing text in Allo App. 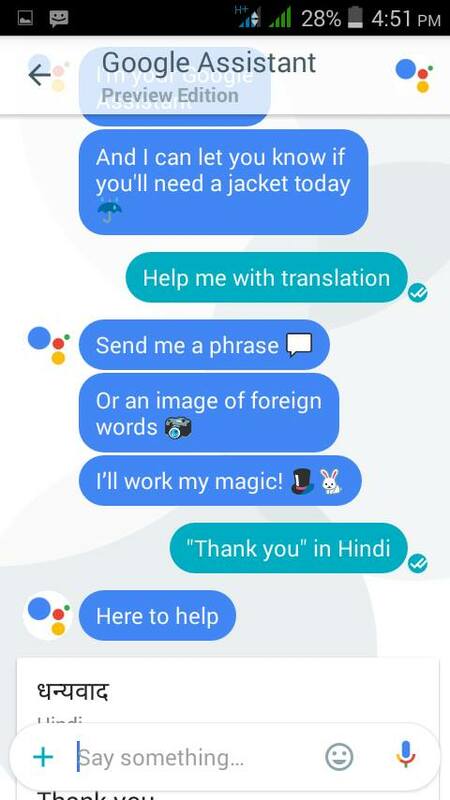 Google Allo App includes Google assistant which answers your questions with the help of artificial intelligence. The Smart reply option in Google Allo app also suggests responses to photos and text messages. Isn't it interesting and more than Whatsapp and other messenger apps? Second reason of this is that Google Allo app is owned by Google Inc, itself so called father of search engines or the Internet. Google allo app has crossed 10 Thousand Downloads just in few hours after the launch and availability on the Play store to download Google Allo Android APK. @google and then "where should I go for lunch" or "where can I get fried chickens" and you will get be answered and suggested of nearby restaurants and hotels by this app. So, you can ask anything to Google with the help of this App just by typing @google before your queries. I am madly in love with this feature. I hope you will also like that. Google Allo app has some inbuilt games which use a string of emoji characters to get you to guess a movie title and many other things. It might become your next addiction. One more thing, I would like to mention here that Google Allo App is totally different from Google hangout and their other products. It suggests you texts and emoticons to send in reply to the messages you get from your friends or relatives. It understands all of the emoticons, "Lol" and suggest you something funny related to the message to reply back with your senders. For example, if you are receiving any smiley or Lol then it will suggest you like to send, "what's you doing" or "how's your day". At this Moment, Google Allo app does support third party App integrations but it will likely to do in future. Not ending here, Google Allo has an incognito mode similar to Google Chrome browser that encrypts all chats and automatically deletes messages after a certain amount of time. Yes, you can ask Google allo to translate any phrase of any language in your own language and it will be done in no time by Google Allo. Something is missing, I guess, Right? Where is video calling feature? Well, if you are looking for so (video calling) then there is an app called Google DUO by Google Inc.
We will write a detailed post on Google duo on our upcoming post. 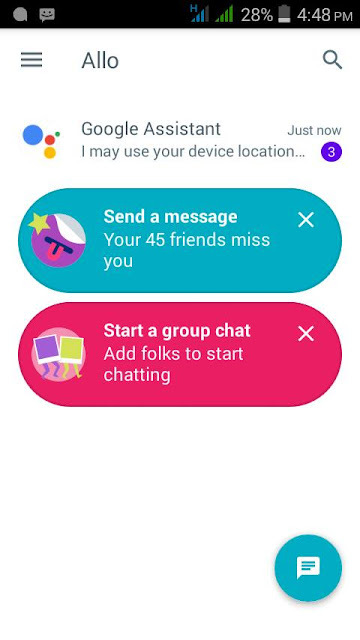 How to Use Google Allo? : Video Guide by "The Verge" channel on Youtube. So now let us talk about the size and requirements to download and Install Google Allo in your Android devices. Required Android: 4.1 and Up. 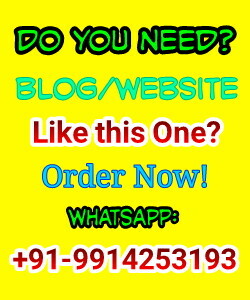 Message: I hope that you have enjoyed 'Google Allo APK - Android App by Google INC. [Download Now]' article on Tips2secure. However, if you want me to deliver more items, then please share my post. You can use Social Sharing Widget provided at the end of every post. After all, Sharing is Caring!